Guess How Much I Love You? Let them know with a cake – complete with baby hare! 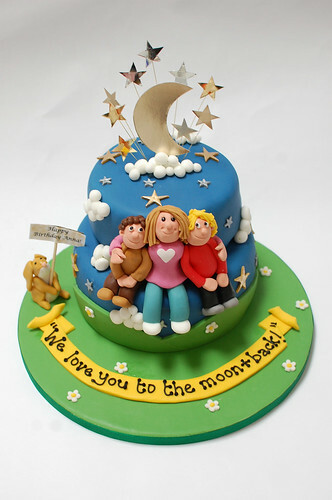 We Love You to the Moon and Back Cake – from £90.